Hundreds of students presented original research and creative projects at the 11th Student Research Symposium. 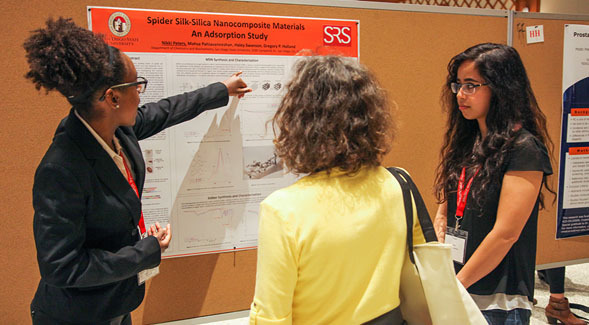 “More than 520 undergraduate and graduate students showcased their original research, scholarship projects and creative abilities across a variety of disciplines at San Diego State University’s 11th annual Student Research Symposium. 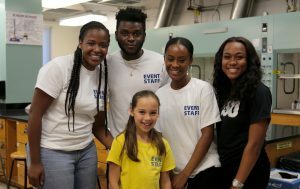 The event took place March 2-3 in Montezuma Hall at the Conrad Prebys Aztec Student Union. Panels of SDSU faculty and staff judges evaluated entries and awarded participants more than 50 cash prizes in recognition of outstanding presentations or performances. Categories included the Undergraduate Research Excellence Awards, Library Awards, Dean’s and Provost’s Awards, as well as the President’s Awards. View a full list of all of the symposium awardees”.